Since it’s Throwback Thursday on many social channels, this photo I shared to Instagram seemed like a good fit today. 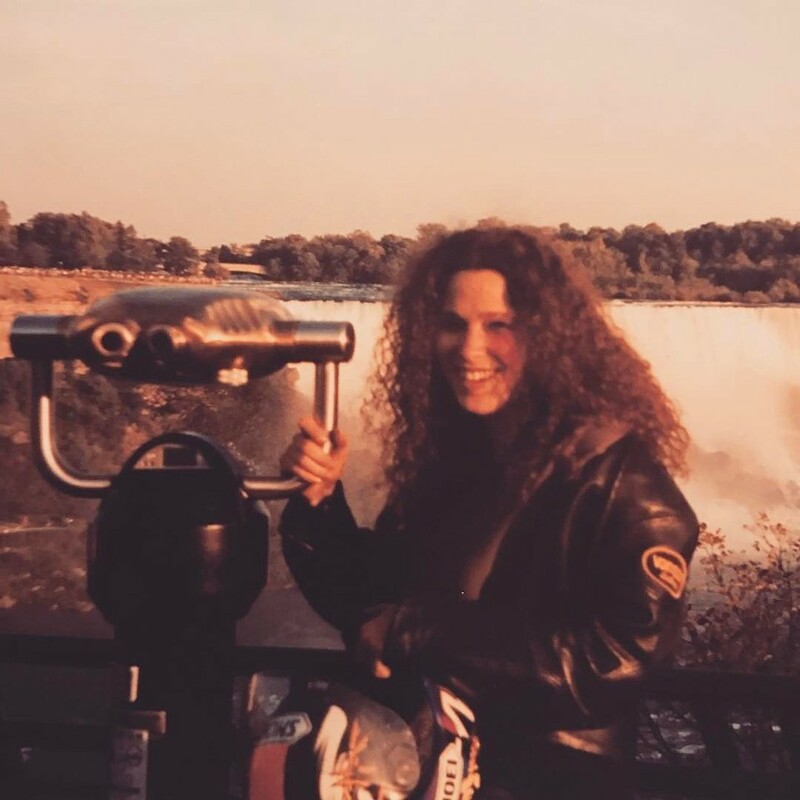 I’d precariously packed my tent, sleeping bag and too much stuff to actually be useful on the little backseat of my ZX6R and roadtripped to see Niagara Falls. It was 1998 and I was 24. Looking back – I had no idea what I was doing. I didn’t know how to pack. I didn’t have “luggage.” I had bungee cords and dreams. But? That was enough. In those days, I focused on going after what I wanted and didn’t think about anything in between. My mind was not yet polluted with what-ifs. Maybe I was actually smarter back then.